That's "Mr. Fett," to you. That's "Mr. Fett," to you. 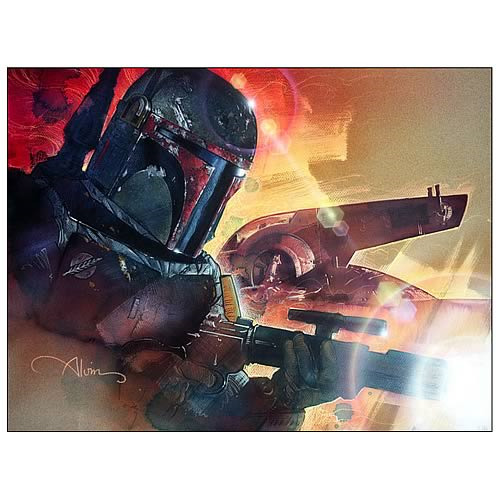 Boba Fett, the ultimate bounty hunter, is back in this Star Wars Mr. Fett Paper Giclee! From artist John Alvin, this stunning print features Han Solo's captor and his ship, Slave I. Limited to only 200 pieces worldwide, the giclee on paper includes an estate seal and certificate of authenticity. It measures 22-inches wide x 17-inches tall.